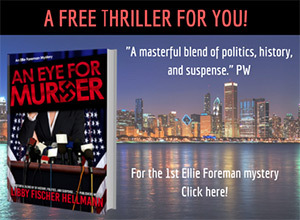 With a background in producing videos commercially, Libby Fischer Hellmann bears a certain similarity to her amateur sleuth Ellie Foreman. “I made Ellie a video producer because I have some knowledge about how it’s done, and it also serves as a vehicle to get her involved with different people and different issues,” says Hellmann. “People who know me say she’s exactly like me. But she isn’t like me at all. Ellie is a braver person than I am. She’s more noble.” Making her latest appearance earlier this year in An Image of Death (Poisoned Pen Press and Berkley Prime Crime), Ellie starred earlier in An Eye for Murder and A Picture of Guilt. 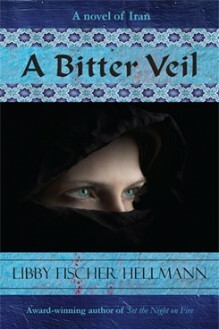 Hellmann herself takes the spotlight today at the Poisoned Pen booth (1651), 10-11 a.m.; in the Sisters in Crime booth (4557), noon-1 p.m.; and in the autographing area, table 4, 2-3 p.m.
Hellmann has a 20-year-old son in college, but something else she and Ellie have in common is a 15-year-old daughter. “So there is a ready source of research available for me,” she says with a laugh.